The Russian embassies in Islamabad and Kabul are in close contact with the authorities of Pakistan and Afghanistan to seek the release of a Russian citizen captured by the Taliban movement in Afghanistan, the Russian Foreign Ministry said in a statement on Aug. 5. 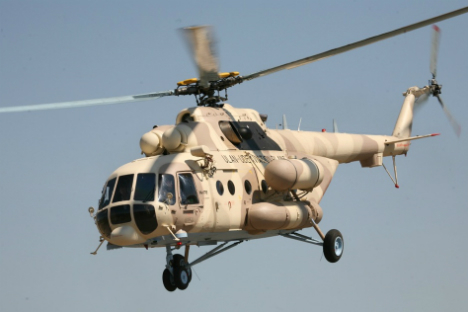 According to media reports, on Aug. 4, a Pakistani Russian-made Mil Mi-17 helicopter made an emergency landing in Afghanistan’s Logar province. The helicopter was heading for Russia for repair and maintenance. "The crew members were captured by Taliban gunmen. Russian citizen Sevastyanov born in 1956, a navigator, was among them," the ministry said. "We are verifying this information," the Russian Foreign Ministry said. "Our embassies in Islamabad and Kabul are in close contact with the authorities of the host countries with a view to taking comprehensive measures to ensure the Russian citizen’s release."